To meet the goal, the hospital made changes to its “Best Practice Care Bundle,” instituted provider and staff education, as well as patient education and communication, and ongoing surveillance. Using real time weights for antibiotic dosing. Staff used reminder phones calls for CHG wash for planned C-sections and the SSI data was shared continually shared with staff/providers. Educating patients about the risk of SSI was also part of the process. The results of the new care bundle were impressive. In a 16 month time frame, South County reduced its SSI rate by 87% with a rate of .66 for fiscal year 2016 and for FY 2017 YTD < 1% (superficial only). It’s important to note that the majority of the changes made were nursing driven or nursing influenced. 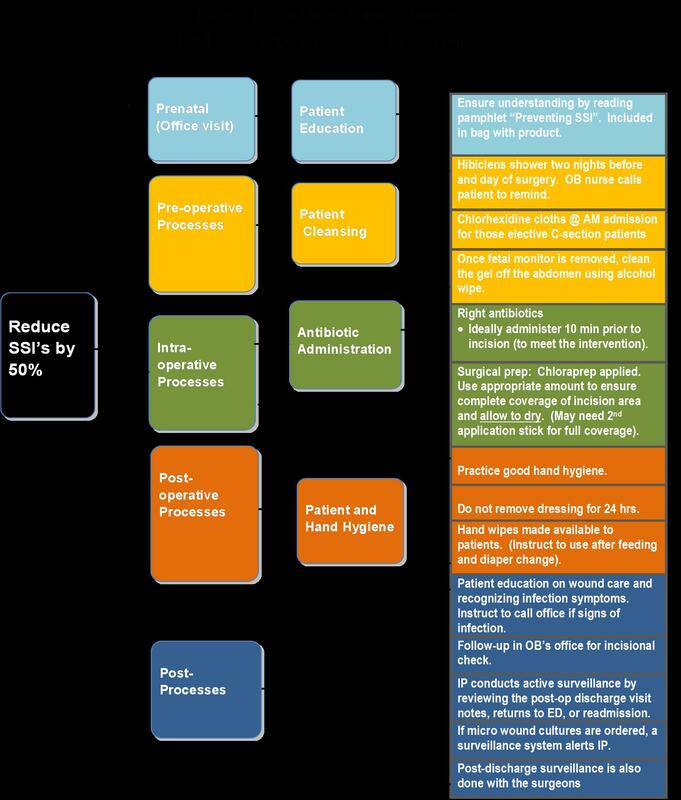 Surgical site infection prevention is multi-dimensional and is most effective when all significant parties – patients, nurses and providers – are brought together to affect change.